Heart disease is currently the number one cause of death worldwide. The disease typically begins with hypertension or high cholesterol, and advances to heart attack, stroke or untimely death. While we already know that heart disease is on the rise in developing countries, we’ve reached a point in India where almost a third of the country’s deaths are due to this disease. This is significantly higher than the global average. To put it into context, heart disease has become prevalent enough for us know at least one family member with hypertension or high cholesterol. In fact, we probably even know someone who has undergone coronary bypass surgery, which is a last resort. My issue with heart disease is not that it exists. Diseases exist. They’re an inherent part of nature. My issue with heart disease is the fact that it’s preventable and yet, we’re letting it get to this stage. Why do we need to resort to cures, like statins and bypass surgery, when we can simply prevent the disease altogether? A healthy and balanced diet is one of the best weapons you have against heart disease, and incorporating cardio-protective “superfoods” into this diet will only boost your heart health further. Not only are fish a great source of lean protein, they are also the richest source of omega-3 fats. These anti-inflammatory fats lower triglyceride levels, LDL cholesterol, and even reduce the formation of clots in your arteries. Together, this cleans and unclogs arteries, which in turn prevents heart disease. An intake of 1 portion, 2 to 3 times a week is recommended by the American Heart Association. This can be of any fish available in the market including salmon, tuna, trout, mackerel, and cod. Most importantly, fish is easy to cook. It can be baked, steamed, grilled, and added to a curry, salad or even some pasta. Nuts and seeds contain high quantities of poly- and monounsaturated fats, minerals, and phytosterols. How are these helpful? Unsaturated fats lower LDL cholesterol levels, minerals lower blood pressure, and phytosterols compete with cholesterol for absorption in the digestive system. Walnuts and unsalted almonds are among the best nuts for heart health. Ideal seeds include chia, sunflower, pumpkin and flaxseeds. However, limited consumption of nuts and seeds is recommended, specifically one small handful a day, as the high content of monounsaturated fats also makes these foods calorie-dense. Nuts and seeds can be eaten as standalone snacks or added to granola, smoothies, salads and soups. These are some of your richest sources of potassium, fibre, and vitamins A, C, and K. Not only are they available year-around, they also come in a wide range of varieties (e.g. spinach, kale, arugula, amaranth greens, romaine and leafy lettuce). The potassium in these vegetables helps kidneys remove sodium from the body to lower blood pressure; cohort studies have time and again shown an inverse link between potassium consumption and the risk of stroke. 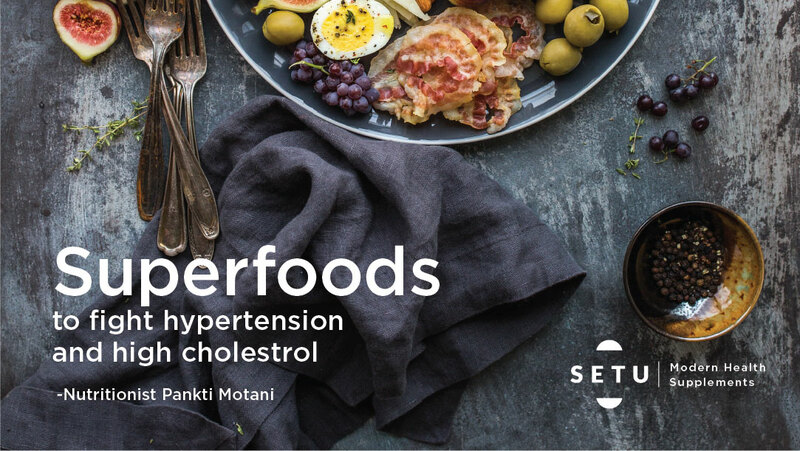 The fibre reduces absorption of cholesterol in the gut while vitamins work in synergy to remove oxidising agents and therefore preventing LDL oxidation, a major risk factor of heart disease. At least one type of these vegetables should be consumed at mealtimes. This can be as a salad, soup, sabzi or curry. Unfortunately for us, berries are a seasonal fruits. But, when they’re in season, these fruits are packed with fibre, vitamin C, and biologically active substances called flavonoids. Flavonoids, along with the vitamin C, are powerful antioxidants which prevent LDL oxidation. They’re also thought to reduce the formation of arterial clots and lower blood pressure, properties which add to their cardio-protective characteristics. Types of local berries include strawberries, blackberries, mulberries, cranberries and gooseberries. They can be consumed fresh or frozen, as a mid-meal snack, or in fresh juices, smoothies, breakfast foods or low-fat dessert. These fibre-rich “superfoods” protect against heart disease by reducing the absorption of cholesterol. They come in many forms (regular, rolled, and steel cut) and are easy to incorporate into a healthy and balanced diet. Oats can be eaten as porridge, muesli, poha, upma or idli. Alternatively, the same recipes can be cooked using other wholegrain cereals such as whole wheat, millet, barley, amaranth, quinoa, and brown rice. 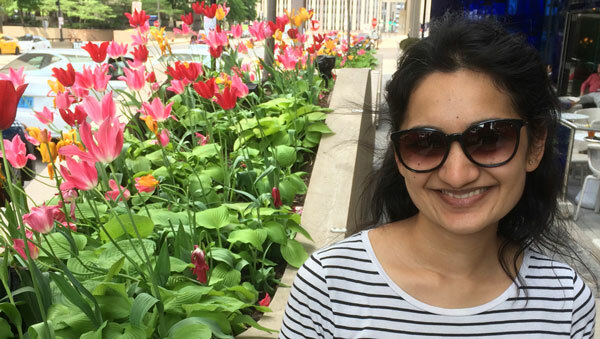 Since qualifying as a nutritionist, Pankti Motani has worked as a consultant with the institute of Tropical Medicine and the UN Development program. She specialises in public health nutrition andmevidence-based policy-making in developing countries. 4 Geissler, C. and Powers, H. (2005). Human Nutrition. 11th ed. Philadelphia: Churchill Livingston. 5 Shrilakshmi, B. (2011). Dietetics. 6th ed. Delhi: New Age International Publishers.